Represents the Northern Marianas Islands. He is serving his sixth term in the House. He is a non-voting delegate. What policy areas does Del. Sablan focus on, as expressed by his press releases? Learn more. What topics does Del. 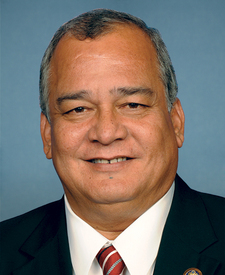 Sablan talk about in his recent press releases more often than other members of Congress do? Learn more. What members of Congress use language that is most similar to Del. Sablan in their recent press releases? Learn more.